One of the things that my son Jonathan stressed to me when we did the Texas Water Safari ultramarathon canoe race is the importance of paddling through the pain. “No matter what,” Jonathan said, “keep paddling.” I learned that even slow paddle strokes are better than no paddle strokes. More than a few times we made it through rapids or portages somewhat less than elegantly, but we made it through. And once we made it through, that particular challenge and that particular mile was behind us. This past week I read some sage advice that David Willey, editor-in-chief of Runner’s World, shared in a pre-race strategy session at the Philadelphia Half Marathon: Run the mile you are in. Instead of stressing about the miles ahead of you, concentrate on making it through the mile you are in. That’s great advice for runners, canoeists, cyclists, or anybody on a long journey. Regardless of how elegantly or inelegantly you ran the mile behind you, running the mile you are in will get you closer to the finish line. In 1986, 53-year old Maine businessman Dodge Morgan experienced the realization of a 20-year dream. He became the first American to sail alone around the world, without stopping. The half-way point of the 27,459 nautical mile trip was especially tough. Morgan said that he felt like a runner whose legs had given out. And then he said this as looked into one of the six on-board cameras chronicling his journey: “I may not be able to get through this day, but I can get through the next hour.” Morgan learned to sail the mile he was in. I took a vacation day this week to bike some trails with my friend Doyle Lowry. On Thursday we headed to Rocky Hill Ranch near Smithville, Texas. 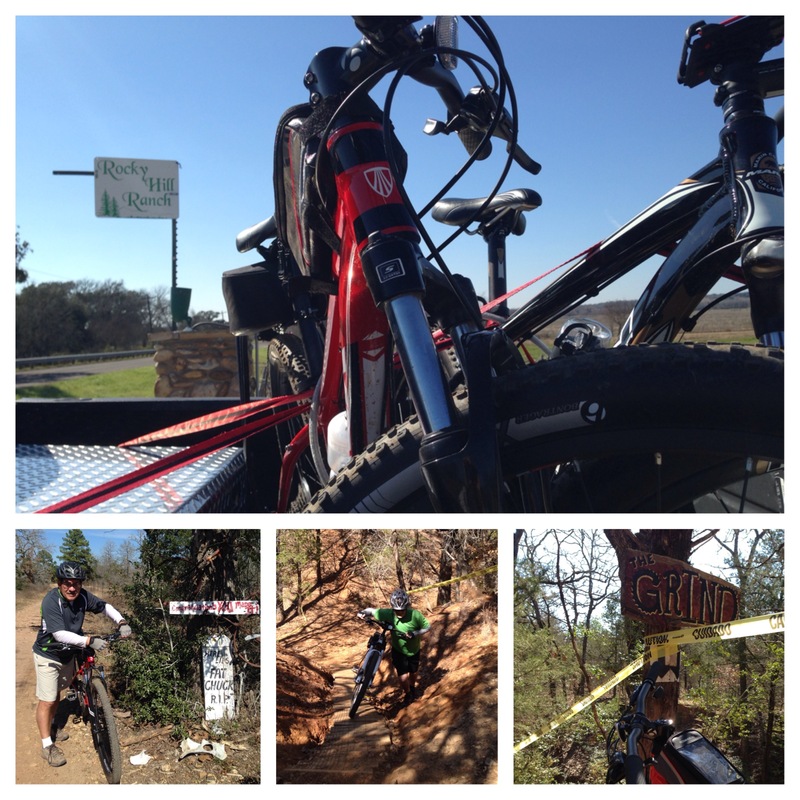 Rocky Hill is known as the mountain biking capital of Texas, and with good reason. As Doyle commented half-way through our course, “This place definitely puts the mountain in mountain biking.” I will admit that I was out of my league at Rocky Hill. I needed more than my two-months of biking experience for these trails. Even so, I thought a lot about Willey’s mantra while trying to survive the trails — just make it through the mile you are in. 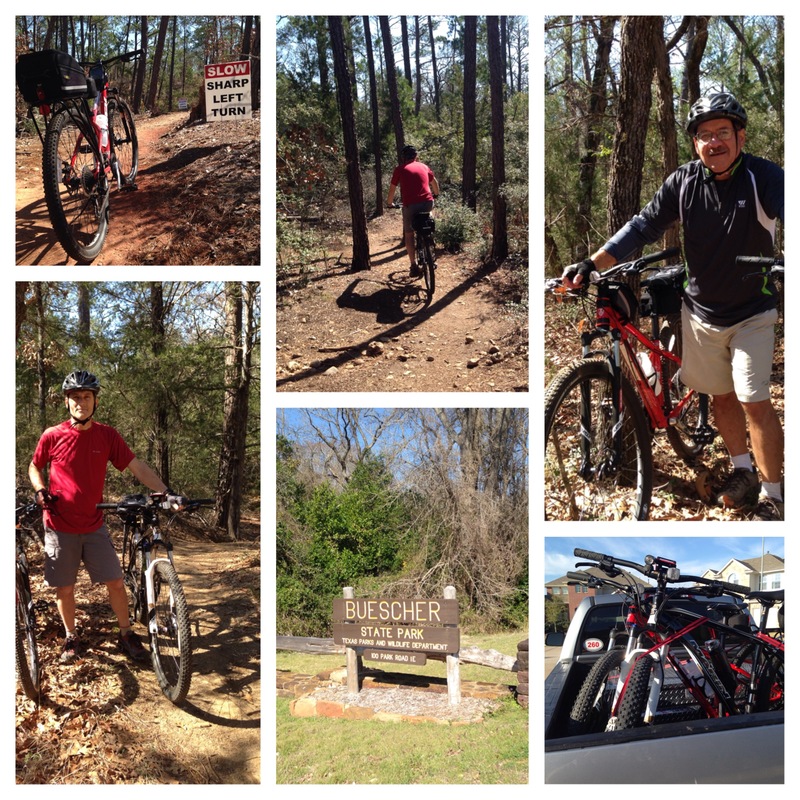 On Friday, we biked the trails at Buescher State Park. When we checked in, the park ranger told us that we would love the trails at the park and would definitely be back. She was right. 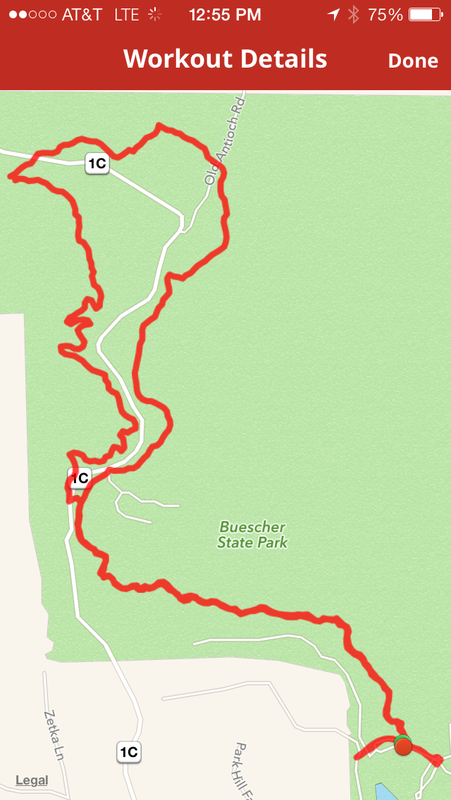 The single-track trails at Buescher are in the more intermediate range and offered plenty of technical challenges. We enjoyed every mile. After evaluating our rides, we concluded that we need to bike lots more miles before we are ready for the more advanced trails at Rocky Hill. We will definitely log more of those miles at Buescher in the future. I am enjoying the challenges of mountain biking but realize that I need to keep riding every day in order to become a better rider. In the past two-months I have logged more than 300-miles on dirt trails and continue to learn new things about the sport. I read everything I can and talk to anybody in the cycling world who is more experienced than me. And, the lessons I learned on the water are also serving me well on the trails. I have to pedal through the pain and concentrate on the mile I am in. If I will continue to do so, like Dodge Morgan, I will complete the course. Omar, you are in good company. The Apostle Paul said we should “run with patience the race that is set before us.” Not turning aside, nor giving up, nor worrying about what’s beyond – just running where we are, in the race that is set before us. Blessings!